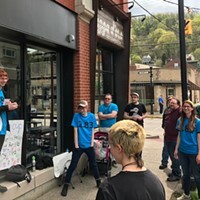 Shepard Fairey, the creator of the iconic Obama "Hope" poster, has abandoned his fight against a Pittsburgh designer a week after City Paper reported on it -- apparently in the belief that he was throwing out the Steelerbaby with the bathwater. As CP reported March 4, Fairey's company, Obey Giant Art, Inc., sent a cease-and-desist letter prohibiting online sales of merchandise for Steelerbaby, a kewpie doll clad in a knit black-and-gold uniform [see "Steelerbaby Blues," http://tinyurl.com/CPsteelerbaby]. 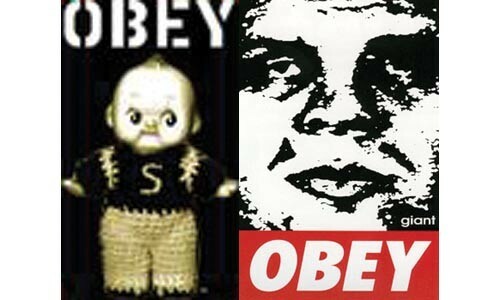 Some Steelerbaby merchandise featured the phrase "Obey Steelerbaby," which Obey Giant claimed violated its trademark on the word. The company ordered online retailer CafePress to remove the offending merchandise from its site. Steelerbaby's owner, local graphic designer Larkin Werner, accused Fairey of being a "corporate artist" in the CP story, which was picked up by numerous designer Web sites, as well as gawker.com. 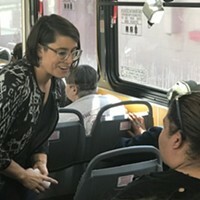 Fairey was often denounced for hypocrisy in those online forums: Although his art has been acclaimed nationally, he's been dogged by accusations of unfairly appropriating other people's work. Within days, Fairey dropped his objections to Steelerbaby. "Please note that Obey Giant Art, Inc. has withdrawn their complaint regarding your shop," reads a March 11 e-mail from CafePress to Werner. "[Y]our images have been reinstated." "I was pretty surprised" by the e-mail, says Werner. He says the previously banned merchandise -- shirts, boxer shorts, hoodies -- is once again available at cafepress.com. Justin McCormack, licensing partner for Obey Clothing, e-mailed CP a statement explaining Obey Giant's change of heart. Originally, the statement reads, "A fan reported Steeler[b]aby's usage to our team and unbeknownst to Shepard Fairey, our team took action." But while the team seeks to protect the "Obey brand," the statement says, "Sometimes we can be a bit overzealous. "[W]e have since taken a look at the Steeler[b]aby site and thought it was a cool marketing campaign," the statement continues. "Shepard and his partners regret that this happened." Werner has his own suspicions about the reversal. For one thing, he says, "There was a decent amount of online chatter" about the CP story. Fairey's crew may have backed off Steelerbaby, he surmises, because "they were bending a little bit to the bad publicity." The negative PR goes beyond some Internet flaming. Fairey's own Obama poster is now the subject of litigation with the Associated Press, which claims the poster's imagery improperly borrowed one of its photographs. Obey Giant Art's notice was delivered the same day the AP filed suit. When news of Fairey's reversal hit the Internet, in fact, some bloggers speculated the lawsuit was the reason for the change. AP, some suggested, might have used Fairey's attack on Steelerbaby to bolster its own challenge. But Michael Madison, a trademark and copyright-law professor at the University of Pittsburgh, says that the two situations raise totally different legal issues. AP is accusing Fairey of violating copyright laws, which govern writing, photos and other original work. Fairey's objection to Steelerbaby, meanwhile, was that it violated trademark laws, which govern logos and words used to identify a company's products. Different legal questions apply in those situations, Madison says. Legally speaking, "There is no inconsistency to what Fairey is doing." On the other hand, Madison adds, "It looks like there is some inconsistency at the conceptual level." After all, Madison says, "He's staked his career on appropriating other peoples' works." Werner, who says he never made much money from Steelerbaby to begin with, says, "It's been a lot of fun to be a part of the discussion." 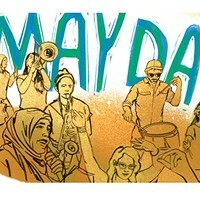 And what lesson does Werner draw from Obey Giant's reversal? "Never mess with a baby."